This is quite an exciting project that will be of interest to historians everywhere whether they are family historians local historians, crime historians, social historians or indeed anyone interested in history. The project was launched in October and a lot of work has been done behind the scenes already. It is based at Griffith University in Queensland and is funded by the university and an Australian Research Council grant. 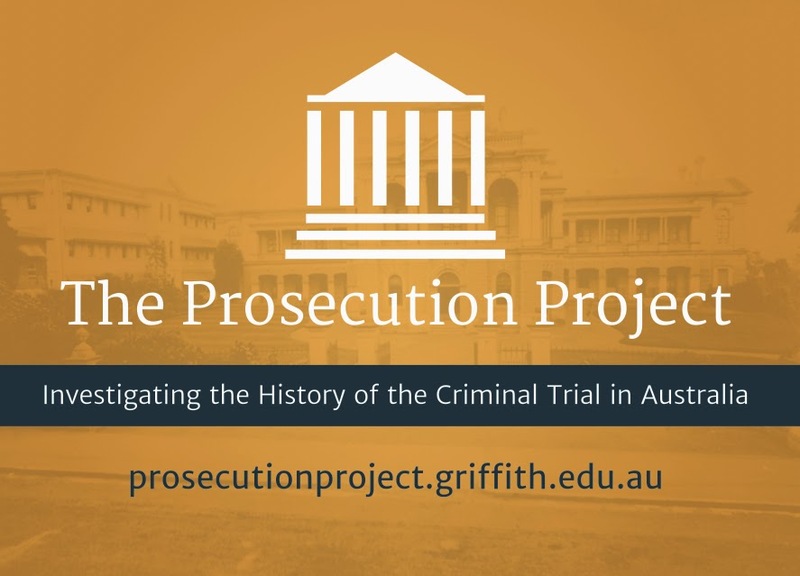 The group of academics and the recruited citizen historians will be indexing the court trials in each Australian jurisdiction (source Supreme Court and State Archives) and also then linking to Trove and the newspaper reports providing a free online database of trials for research by anyone. You can do a keyword search now and below is the information returned on a search for Evans and another for Smith. The ability to do the keyword search will allow you to look for types of crime, places where crime occurred and more. When a link to Trove exists you see the magnifying glass and you go to Trove to the article. The project is calling for volunteers and the indexing work is done in the comfort of your own home. 000 trials have already been entered into this database. these records for public access.